Salons in Southern part of India are synonymous with Naturals and now Naturals is synonymous with Kareena Kapoor. Actress Kareena Kapoor is now the brand ambassador of the leading beauty chain which has 350+ salons pan India presently. Prospective franchisees have a golden opportunity as the brand plans to take the number to 650 by end of 2014. 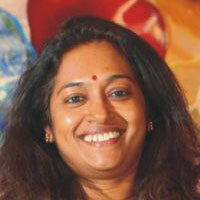 Veena Kumaravel, Founder, Naturals Salon gets candid with Beny Sachdeva and talks about industry trends and challenges. Any new trend you witnessed so far in beauty & wellness sector? Where do you see industry's growth five years down the line? Women entrepreneurs face funding problems. What solution do you have for this? Especially for women, Naturals has a tie up with Indian Overseas Bank. This is exclusively to promote women entrepreneurs. One challenge often faced in the setting up stage for women franchisees is procurement of funds. Which is the biggest challenge in this industry? I believe that retaining qualified and trained staff is the biggest challenge in the beauty industry, besides high rental costs and fast changing trends. Under technical training, Naturals' franchisees are updated on new-age trends of hair, skin, nail and usage of beauty products. Whereas under salon management, the company offers training on how to take care of a customer, managing the staff, inventory control, billing procedure, telephone handling, communication skills and other trainings to run the salon smoothly. About Us: Maple Lawn International offers franchisees under the brand Maple.. Promoting the Many Aspects of Wellness..
“Be Global Act Local”- Hemil Parikh..
How Can You Buy A Photography Franchise?.. Third Party Delivery Service: A Boon or Bane..
Witnessing the Dawn of the Education Age.. Influence of Interiors in a Cafe Business.. Riding On The Waves Of Success..
8 Trends Storming Indian Healthcare Industry.. Fitness Business Ideas for 2018..
Guide to Make a Business Planning Template..
How is the Fitness Game Changing?..